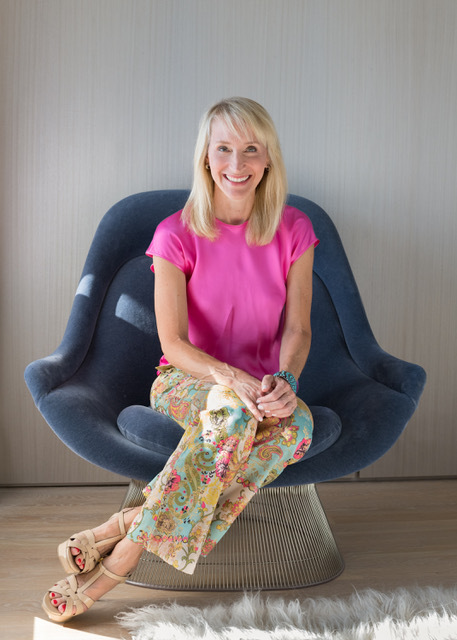 Join us at Lake Forest Book Store as author Christina Baker Kline presents her newest novel A Piece of the World as part of the Lake Forest Reads: Ragdale One Book, One Community read. Christina will appear in conversation with fellow author Deborah Siegel. As seating is limited, registration is required. From the #1 New York Times bestselling author of the smash bestseller Orphan Train, a stunning and atmospheric novel of friendship, passion, and art, inspired by Andrew Wyeth's mysterious and iconic painting Christina's World. "Later he told me that he'd been afraid to show me the painting. He thought I wouldn't like the way he portrayed me: dragging myself across the field, fingers clutching dirt, my legs twisted behind. The arid moonscape of wheatgrass and timothy. That dilapidated house in the distance, looming up like a secret that won't stay hidden." To Christina Olson, the entire world is her family farm in the small coastal town of Cushing, Maine. The only daughter in a family of sons, Christina is tied to her home by health and circumstance, and seems destined for a small life. Instead, she becomes Andrew Wyeth's first great inspiration, and the subject of one of the best-known paintings of the twentieth century, Christina's World. As she did in her beloved bestseller Orphan Train, Christina Baker Kline interweaves fact and fiction to vividly reimagine a real moment in history. A Piece of the World is a powerful story of the flesh-and-blood woman behind the portrait, her complicated relationship to her family and inheritance, and how artist and muse can come together to forge a new and timeless legacy. 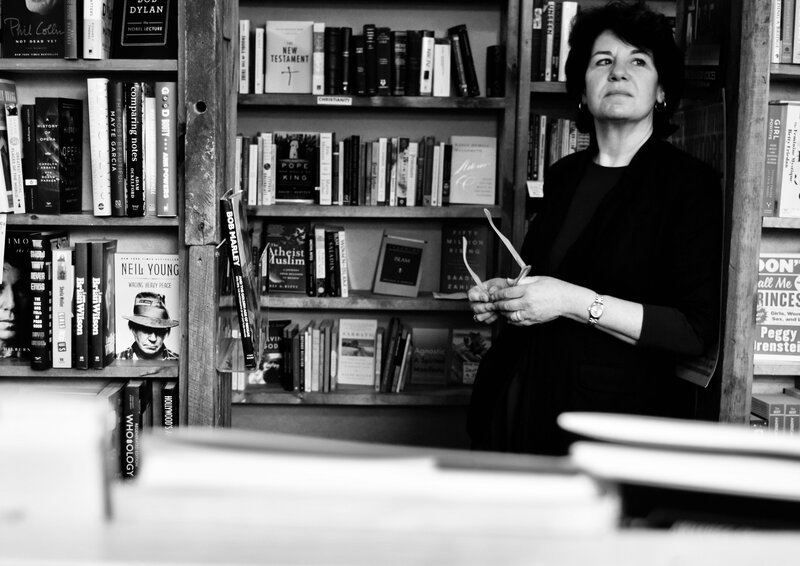 Deborah Siegel is the author of Sisterhood, Interrupted: From Radical Women to Grrls Gone Wild, co-editor of the literary anthology Only Child, and co-founder of She Writes. A PhD in English and American Literature, she is a Visiting Scholar in Gender and Sexuality Studies at Northwestern University and a TEDx speaker. Her work has appeared in a wide variety of venues. She currently serves as Coach-in-Chief at Girl Meets Voice, where she helps those with powerful insights write publicly in the service of their ideas. For the first time ever, America’s Test Kitchen is bringing their scientific know-how, rigorous testing, and hands-on learning to KIDS in the kitchen! 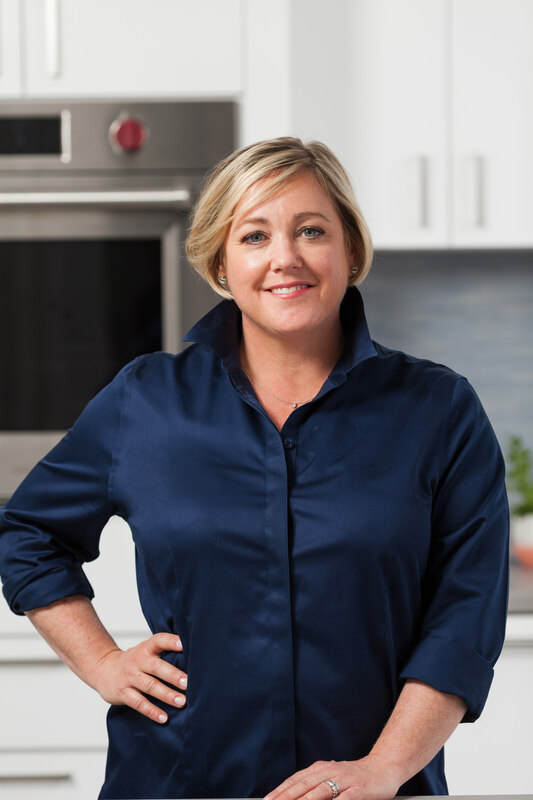 To celebrate, Taste Buds Kitchen and Lake Forest Book Store welcome Julia Collin Davison of America's Test Kitchen and a contributing author of the new release, The Complete Cookbook for Young Chefs. During this exclusive book signing event, Julia will demonstrate an entrée recipe for the audience and share cooking and nutrition tips. Parents: attend as an individual, drop your child off or come as a pair! $35 per person or $45 per parent/child pair. Cost includes one cookbook. Tasting samples will be provided with book signing to follow. Want to bake the most-awesome-ever cupcakes? Or surprise your family with breakfast tacos on Sunday morning? Looking for a quick snack after school? Or maybe something special for a sleepover? It's all here. Learn to cook like a pro--it's easier than you think. For the first time ever, America's Test Kitchen is bringing their scientific know-how, rigorous testing, and hands-on learning to KIDS in the kitchen! Using kid-tested and approved recipes, America's Test Kitchen has created THE cookbook every kid chef needs on their shelf. Whether you're cooking for yourself, your friends, or your family, The Complete Cookbook for Young Chefs has delicious recipes that will wow! AMERICA'S TEST KITCHEN is the most authoritative resource for reliable, kitchen-tested recipes and cooking information. They value process, curiosity, practicality, and honesty. They believe everyone can learn to be a successful cook and their mission is to test recipes over and over until they understand how and why they work, and arrive at the best version. Join the staff of Lake Forest Book Store for a public presentation and book signing by John Flanagan for his new book at Warren-Newport Public Library in Gurnee. #1 New York Times bestselling author John Flanagan returns to the world of Ranger's Apprentice, continuing the story arc starring fan favorites, Will and Maddie (The Royal Ranger: A New Beginning). Picking up where The Royal Ranger: A New Beginning left off, this next installment continues the story arc featuring young apprentice, Maddie, and the student-turned-master, Will Treaty. The time has come for the next generation to assume the mantle and become protectors of the kingdom of Araluen. After passing her third-year assessment as a ranger's apprentice, Maddie is called home to Castle Araluen. Forced to keep her ranger training a secret, Maddie feels trapped by the monotony of castle life and longs to find a way out. But there are whisperings of a new threat to the kingdom. The mysterious Red Fox Clan, a group of anarchists all donning fox masks, have threatened Castle Araluen and question Princess Cassandra and Madelyn's succession to the throne. Will they succeed in unseating Cassandra and Madelyn and take the throne for themselves? The bestselling author of the Ranger's Apprentice and Brotherband series, John Flanagan, returns in the captivating follow-up to The Royal Ranger: A New Beginning. Perfect for fans of Tolkien, Redwall, and Game of Thrones! 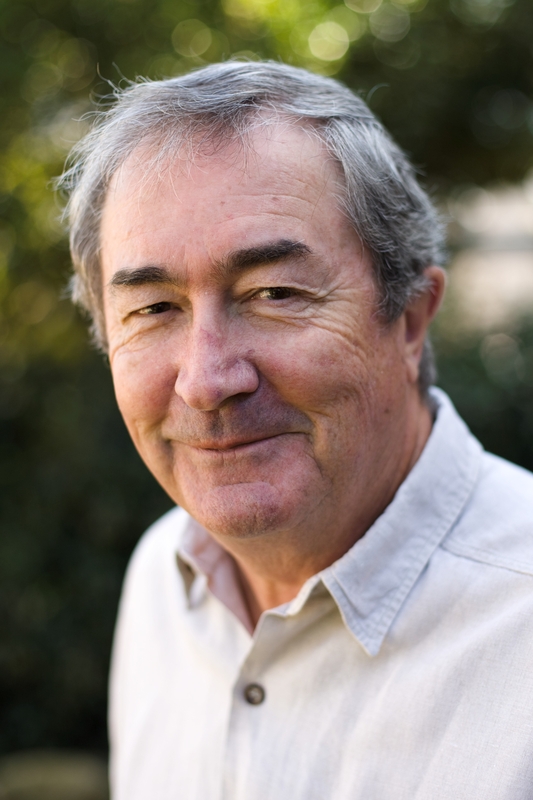 John Flanagan grew up in Sydney, Australia, hoping to be a writer, and after a successful career in advertising and television, he began writing a series of short stories for his son, Michael, in order to encourage him to read. Those stories would eventually become The Ruins of Gorlan, Book 1 of the Ranger’s Apprentice epic. Now with his companion series, Brotherband, the novels of John Flanagan have sold millions of copies and made readers of kids the world over. Mr. Flanagan lives in the suburb of Mosman, Australia, with his wife. In addition to their son, they have two grown daughters and four grandsons. Visit him online at www.worldofjohnflanagan.com. Join us at Froggy's French Cafe as we celebrate Kraig W. Moreland's and Toby Jones' new book chronicling a local unsolved crime. In October of 1928, in the quaint north shore Chicago suburb of Lake Bluff, 30-year-old Elfrieda Knaak was found naked in the basement of the Village Hall, propped up next to the furnace, with burns over more than half of her body... but still alive! To this day –- 90 years later -- no one knows how she got there or how she was so badly burned. This stranger-than-fiction story is told through the eyes of Griff Morgan, a young orphan boy, whose harrowing journey makes him an accidental witness to what still remains one of the most puzzling, unsolved crimes of the early 1900s. This is the first historical fiction book project for Kraig W. Moreland. Kraig has lived in Lake Bluff, Illinois his entire life. After working 10 years in advertising and marketing, he founded New Vision Athletics, Inc. in 1996, a privately-held sports league on the north shore of Chicago. Kraig and his wife Jennifer have raised their four children in Lake Bluff. They also co-founded the Margo Moreland Charitable Foundation in 1999, which supports children afflicted with Cerebral Palsy. Kraig has a great passion for film and local history. Over the last 15 years, he has helped write and co-produce the Lake Bluff Ghost Walk. 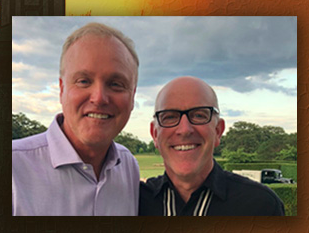 In 2011, Kraig wrote, filmed, and produced a two-hour documentary "A Childhood Lost & Found - A Journey back to The Lake Bluff Children's Home," a heart-felt story of the Lake Bluff Orphanage, the children who lived there and the people who cared for them. The film was awarded a "Superior Award" from the Illinois Association of Museums in 2012. He is the recipient of the 2012 I Care Award, and also an honorary Paul Harris Fellow Rotary award,. Kraig was a featured speaker at Rosalind Franklin University Medical School in 2014 for the TedMed Live talk. Toby Jones has been writing since his early high school years. He studied Creative Writing at DePauw University and then earned a Masters of Divinity at Princeton Seminary. He went on to teach English at both the high school and college levels, including a four-year stint at Phillips Exeter Academy. The Furnace Girl is Toby’s first collaborative effort and foray into historical fiction. His previous two books, The Gospel According to Rock and The Way of Jesus focused on Toby’s spiritual journey. He currently serves at Congregational/UCC church in Gaylord, Michigan as part-time pastor, which allows him to continue writing, teaching, and counseling. Those in the Chicagoland area will be interested to know that Toby was one of the founders of Lake County P.A.D.S. – Public Action to Deliver Shelter. He served as its Director in the late 1980s. In the mid-1990s, Toby was awarded an N.E.H. grant to study the Depression Era in American History. He was also named a Klingenstein Fellow by Columbia’s Teachers’ College in 1996. In recognition that October is DVAM (Domestic Violence Awareness Month), the author is donating 10% of her book profits to RAINN, an organization that works to prevent sexual abuse and that supports survivors. For any woman who has sought to reinvent herself comes a story of courage, potential and finding joy. Tamsen Peel has lost all hope. Devastated by the challenges in her marriage, she struggles desperately to find herself, and in doing so, she discovers a warm transfer. By definition, "WARM TRANSFER /warm ˈtrænsfər/ (noun) The act of a customer service representative remaining on the line with their caller until that caller is successfully transferred to another agent." Metaphorically speaking, a warm transfer happens any time we help others find safe passage to their destination. Warm transfers move us forward, and they are at the heart of Tamsen's journey. In a romantic and sometimes humorous story, Warm Transfer drops us into an affluent world of scandals and secrets. Tamsen's husband Victor owns a successful advertising agency, and his income supports the Peel's lavish lifestyle in the uppermost echelon of Chicago society. Inside the clutch of Victor's controlling ways, however, Tamsen has misplaced her sense of identity. Just as she has given up the dream she could ever have more, Whit, a handsome young musician, leans his beat-up bike against the iron fence of the Peel's Astor Street brownstone. Quickly, Tamsen finds an unlikely companion in his kindred, tortured soul. Despite their age difference, the two discover common ground in hot tea and their mutual love for the French novel The Count of Monte Cristo. It's only a matter of time before their friendship intensifies, and Tamsen must face the questions that haunt her: can she reclaim the woman she was in her life before Victor? Is the detriment to her children worth it? Is she worth it? Chicago native Laura Holtz graduated from Northwestern University and entered into a career in sales promotion rising to the position of head of the creative department at her agency. She put her talent for writing toasts in rhymed verse to use by composing book and lyrics for her original musical Gatecrashers, a finalist in the Ball State University Discovery New Musical Theatre Festival. 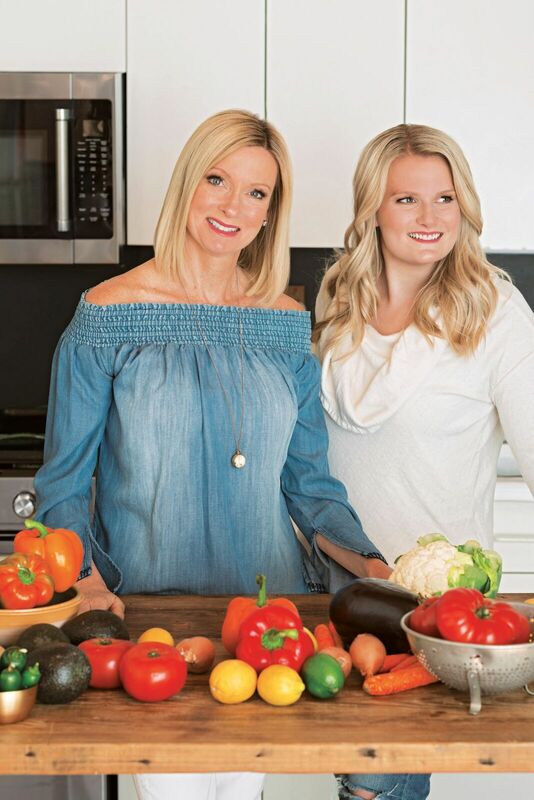 Join us at Lake Forest Book Store as we welcome Linda Meyer and Alex Meyer, the mother/daughter team behind Veganosity.com as they share their new cookbook. Named one of the best new cookbooks for summer by The Washington Post!. All your favorite BBQ dishes made deliciously plant-based! Great Vegan BBQ Without a Grill is the easy and convenient way to BBQ anywhere, anytime while keeping to your healthy vegan lifestyle. Linda Meyer and her daughter Alex take you on a tour of America's best BBQ, inspired by their family road trips to South Carolina, Louisiana, Texas and more. They'll show you how to easily replicate the smoky flavors and textures of classic BBQ meats using a grill pan or cast iron skillet--no outdoor grill or smoker required! Sink your teeth into Texas BBQ Brisket dripping with Big Mama's Homemade BBQ Sauce, and win the war on bland, crumbling veggie burgers with Smoky Chipotle BBQ Black Bean Burgers. Featuring more than 70 recipes, each paired with a mouthwatering photo, you can create a real hoedown with dishes such as "Honey" BBQ Ribz, Beer Braised Pulled "Pork" Sandwiches, BBQ Jerk Chick'n and Carolina Coleslaw. These amazing recipes will become your go-to vegan choices for all your BBQ cravings. Linda Meyer and her daughter Alex run the vegan food blog Veganosity. They've had recipes featured on the websites of The Kitchn, One Green Planet, PETA, Shape, Fitness, Better Homes and Gardens and Vegan Food & Living. They have also done recipe development for many common food brands such as Dole, Silk, Barilla, Kellogg and more. Linda and Alex live in Chicago. In 1924, University of Chicago students Nathan Leopold and Richard Loeb were young, rich, and looking for a thrill. The crime that came next--the brutal, cold-blood murder of 14-year-old Bobby Franks--would come to captivate the country and unfold into what many dubbed the crime of the century. As the decades passed, the mythology surrounding the unlikely killers continued to capture the interest of new generations, spawning numerous books, fictionalizations, and dramatizations. In The Leopold and Loeb Files, author Nina Barrett returns to the primary sources--confessions, interrogation transcripts, psychological reports, and more--the kind of rare, pre-computer court documents that were usually destroyed as a matter of course. Until now, these documents have not been part of the murder's central narrative. This first-of-its-kind approach allows readers to view the case through a keyhole and look past all of the stories that have been spun in the last 90 years to focus on the heart of the crime. Carefully curated and steeped in historical context from Barrett, this book allows the surviving Leopold and Loeb documents, most of which are in the form of either transcripts or narrative, to function as both artifact and literature, recounting the moves of the murder and sentencing hearing as well as addressing the questions that continue to fascinate--issues of morality, sanity, sexuality, religious assimilation, parental grief and responsibility, remorse, and the use of the death penalty. This comprehensive, ephemera-driven history allows the reader to act as a fly on the wall and speaks powerfully to the unsolved mysteries of this distinct crime, in which the guilt of the perpetrators is unambiguous but almost everything else is open to interpretation. A formidable matriarch learns the hard way that no family is perfect in this witty, sparkling debut novel. Violet Baumgartner has opened her annual holiday letter the same way for the past three decades. And this year she's going to throw her husband, Ed, a truly perfect retirement party, one worthy of memorializing in her upcoming letter. But the event becomes a disaster when, in front of two hundred guests, Violet learns her daughter Cerise has been keeping a shocking secret from her, shattering Violet's carefully constructed world.In an epic battle of wills, Violet goes to increasing lengths to wrest back control of her family, infuriating Cerise and snaring their family and friends in a very un-Midwestern, un-Baumgartner type of dramatics. And there will be no explaining away the consequences in this year's Baumgartner holiday letter...Full of humor, emotion and surprises at every turn, Evergreen Tidings from the Baumgartners brings to life a remarkable cast of quirky, deeply human characters who must learn to adapt to the unconventional, or else risk losing one another. This is the story of a family falling to pieces--and the unexpected way they put it all back together. Meet local author Amelia Levin and sample recipes from her new cookbook. This collection of 118 recipes captures the evocative food experiences of the Lake Michigan region, an ultimate vacation destination with hundreds of miles of shoreline and rich food traditions reflecting the bounty of the area's farms and the lake's daily catch. Recipes include Helen Suchy's Apple Cake from Door County, Homemade Sheboygan-Style Bratwurst, Chicago's HBFC Original Fried Chicken Sandwich, Beach House Cheesy Potatoes from Northwest Indiana, and The Cook's House Crispy Skinned Lake Trout from Traverse City. Delightful photographs of cottage life and classic destinations, along with profiles of favorite food purveyors, bring the lakeshore's flavors and charm to you year-round, wherever you are. 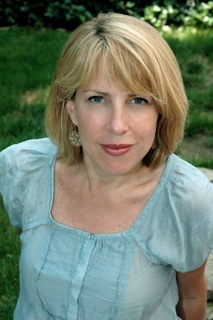 Amelia Levin is a Chicago-based food writer, chef, cookbook author, and passionate Midwesterner. 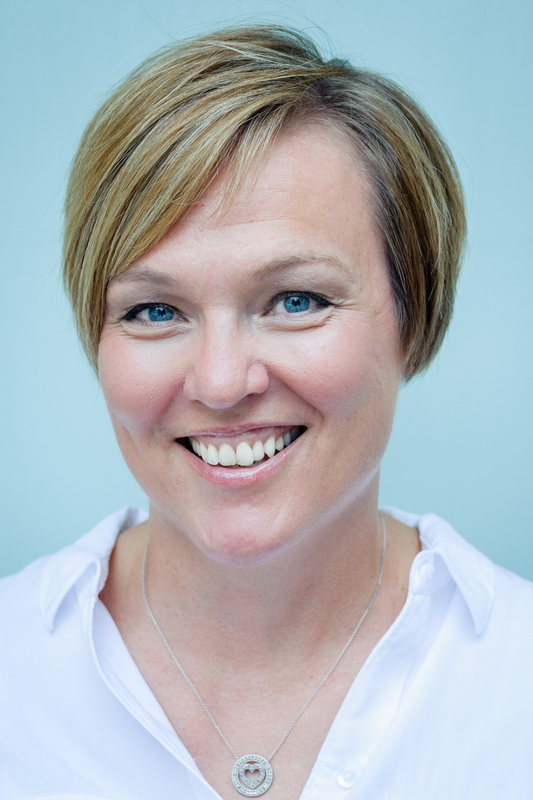 She grew up in the Chicago area, vacationed for 30 years in Wisconsin, went to college in Michigan, and has since traveled throughout the entire northern Midwest for both fun and business. 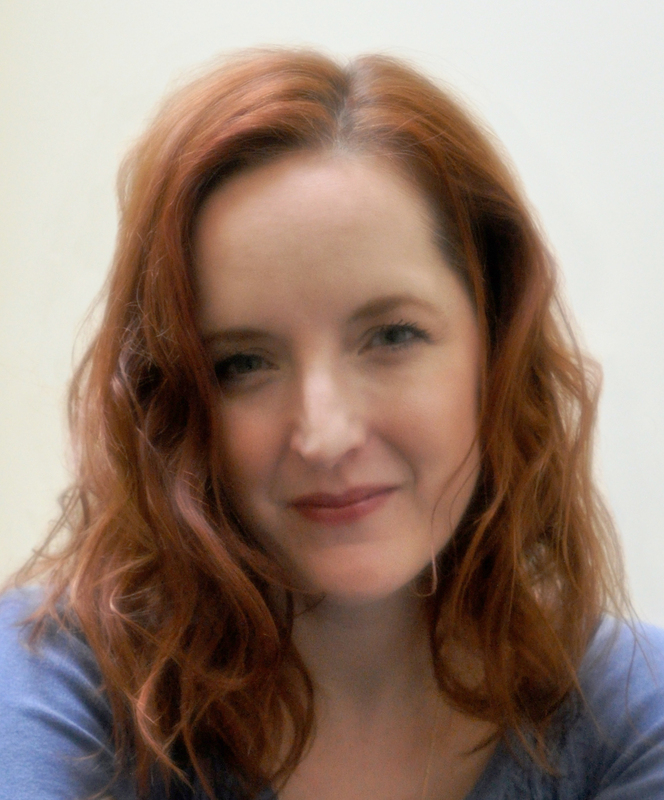 She contributes to Edible Chicago magazine and is the food editor at FSR, a trade magazine for full-service restaurants. She is the author of Chicago Chef's Table: Extraordinary Recipes from the Windy City. A dazzling new novel of friendship and redemption in the face of tragedy and loss set in 1980s Chicago and contemporary Paris, by the acclaimed and award-winning author Rebecca Makkai. In 1985, Yale Tishman, the development director for an art gallery in Chicago, is about to pull off an amazing coup, bringing in an extraordinary collection of 1920s paintings as a gift to the gallery. Yet as his career begins to flourish, the carnage of the AIDS epidemic grows around him. One by one, his friends are dying and after his friend Nico's funeral, the virus circles closer and closer to Yale himself. Soon the only person he has left is Fiona, Nico's little sister. Thirty years later, Fiona is in Paris tracking down her estranged daughter who disappeared into a cult. While staying with an old friend, a famous photographer who documented the Chicago crisis, she finds herself finally grappling with the devastating ways AIDS affected her life and her relationship with her daughter. The two intertwining stories take us through the heartbreak of the eighties and the chaos of the modern world, as both Yale and Fiona struggle to find goodness in the midst of disaster.